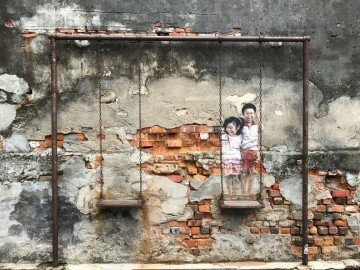 The Southeast Asian country of Malaysia is so much more than just its iconic Petronas Twin Towers, Genting Highlands or theme parks like Legoland and Sunway Lagoon. 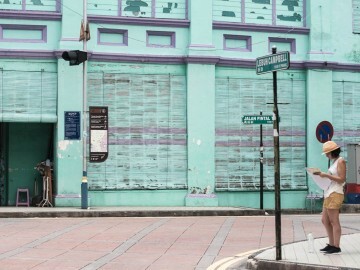 The next time you’re pining for a weekend adventure retreat in Malaysia, head on over to Bintulu, a small coastal town tucked away in Sarawak. No trip to Bintulu is complete without a little jungle trekking at Similajau National Park. With an abundance of nature trails to hike, there is definitely a trail to suit every interest. If you plan to take a hike to Golden Beach past the coast, stay on the Main Trail that’s marked in red. For those who feel like they could do some extra exploring, try the trails that go past the mangrove. These trails are clearly demarcated with green markings (Education Trail), as well as red/white markings (Circular Trail). 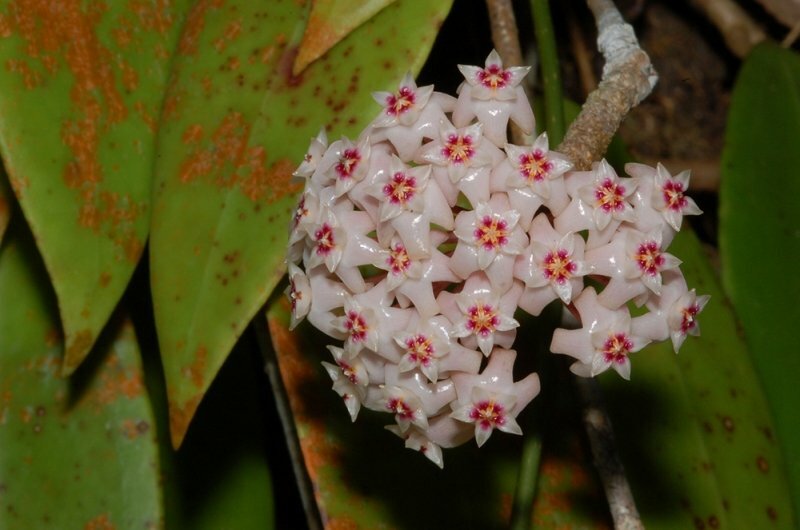 As you trek through the forest, keep your eyes peeled for the beautiful flora and fauna around you. Did you know that there are at least 24 species of mammals recorded to be residing within the park? From gibbons to hornbills – try to spot them all while you’re here! 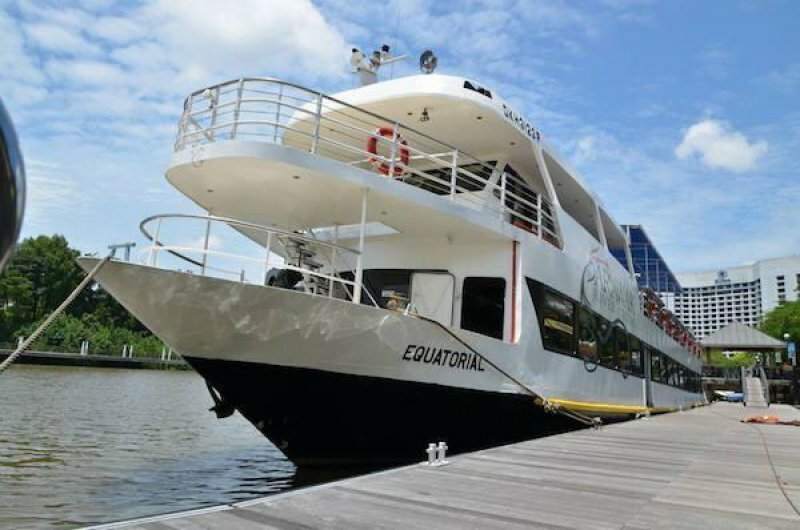 Since Bintulu is a coastal town, what better way to see the sights than on a river cruise? Depending on the route of your cruise, you’ll get to see the traditional longhouses that are built on stilts or even see the turtles on the shores of Golden Beach burying their eggs! 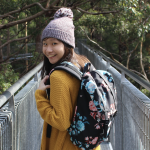 Different cruise providers also offer town tours on top of other walking tours, so feel free to tag along and further explore the nooks and crannies of this little town. And if you’re looking for a way to relax and unwind after a long day of exploring, how about embarking on a sunset cruise? Just imagine: you’re sipping on a cold drink while looking out into the horizon as the sun’s golden rays transition to a beautiful night sky. Ahh, isn’t this pure bliss? For those who think that a day trip to the local fishing village simply isn’t enough to get a true blue local experience, why not go all out and book a homestay at a traditional longhouse? 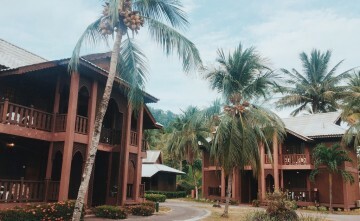 Longhouses are the traditional form of architecture in Sarawak. Here, dozens of families all live side by side in the same compound. There can even be more than a hundred families living together in a longhouse, how cool is that? Spend two to three days here and you’ll truly be able to savour local hospitality at its finest. Get to taste home cooked delights and go on adventures with the local guides, that include swimming at the nearby waterfalls, jungle trekking and bamboo rafting. Some homestay experiences even let you try out a traditional “blowgun” with – unpoisoned and unsharpened – darts. You can definitely proudly say you’ve lived the local life once you’ve done this homestay! If you find yourself in search for a place to catch the sunset as evening draws near, make a beeline for Bintulu Waterfront Promenade, the longest waterfront in Sarawak. Enjoy the breeze as you take a slow walk down the promenade along a scenic coastal path. Also, visit the viewing tower at the promenade as it is a great vantage point for panoramic views of the glistening sea. Don’t forget to purchase some coconuts from the vendors by the road – fresh coconut juice makes for the perfect beverage to sip on while you admire the gorgeous sunset and golden-streaked sky! READY FOR A SCENIC STROLL THAT YOU WILL NEVER FORGET? Famous for its street food stalls, Tanjung Batu Beach Bintulu, also known as Pantai Temasya Tanjung Batu, is just a 15-minute walk away from Taman Tumbina. This beachfront food market is a favourite haunt amongst locals, where you can get nosh for cheap. Although Tanjung Batu is a beach, swimming and other water activities are strongly discouraged due to the strong currents. Nevertheless, grab your food and settle down for dinner with a view of the sunset instead! 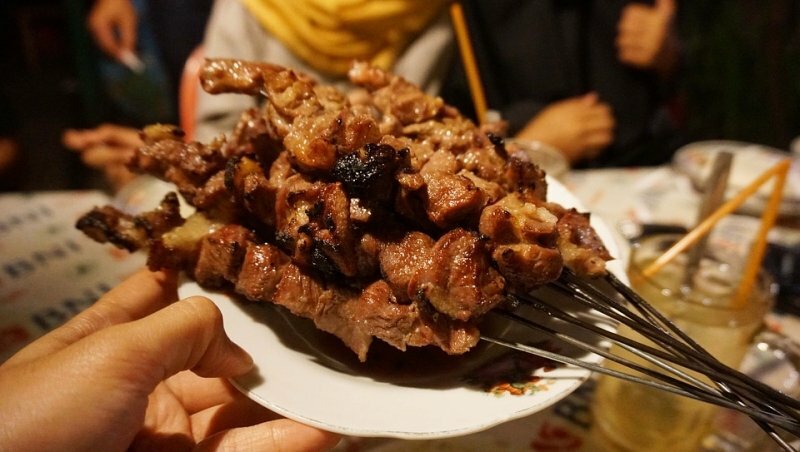 Must-try bites include barbequed chicken wings, Satay (barbequed meat on skewers), Pisang Goreng (banana fritters) and other seafood dishes – especially since this is a fishing village, after all. For a more complete meal, plates of noodles are also available from some stalls. To end your meal, have some Ais Cendol (shaved ice with coconut milk, palm sugar and assorted toppings) or Es Campur (beverage comprised mainly of coconut milk, syrup and assorted jelly) as a refreshing dessert! For an activity that’s both exciting and novel, how about taking a day trip out to the caves? 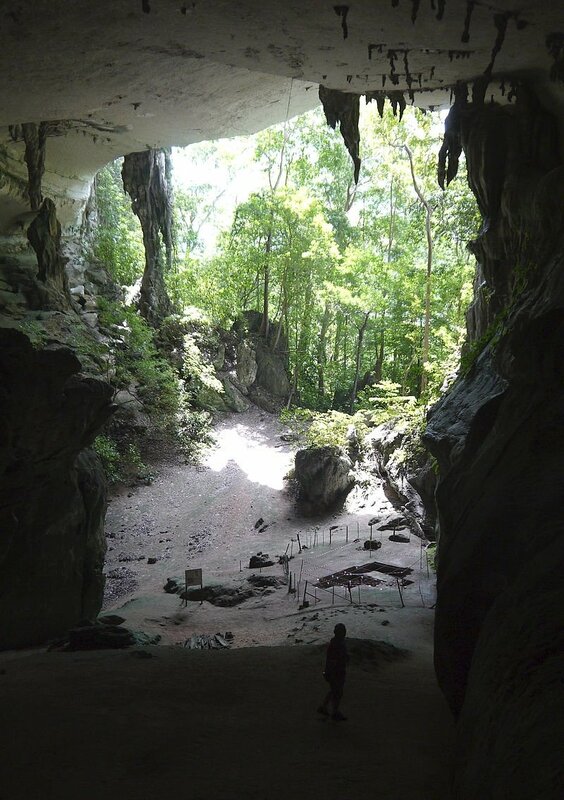 For an unforgettable cave exploring adventure, head towards Niah Caves, which is situated in Niah National Park. One surprising fact that the local tour guides will reveal to you when you reach is that Southeast Asia’s oldest human remains lie in these caves. That’s right, relics of a prehistoric man have been found in these very caves! Descend into the depths of the cave with your tour guide and marvel at the features of one of the largest natural limestone caves in the world. Hikers will also learn more about how different species have adapted to survive and thrive in such an environment. Be sure to also make a pit-stop at the Painted Caves, where you’ll get to see ancient paintings scrawled on cave walls along with old relics of boat coffins too! 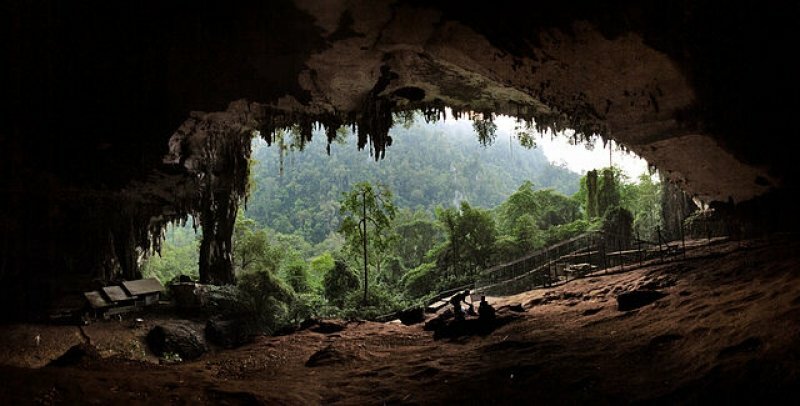 HEAD TO BINTULU FOR A CAVE ADVENTURE! 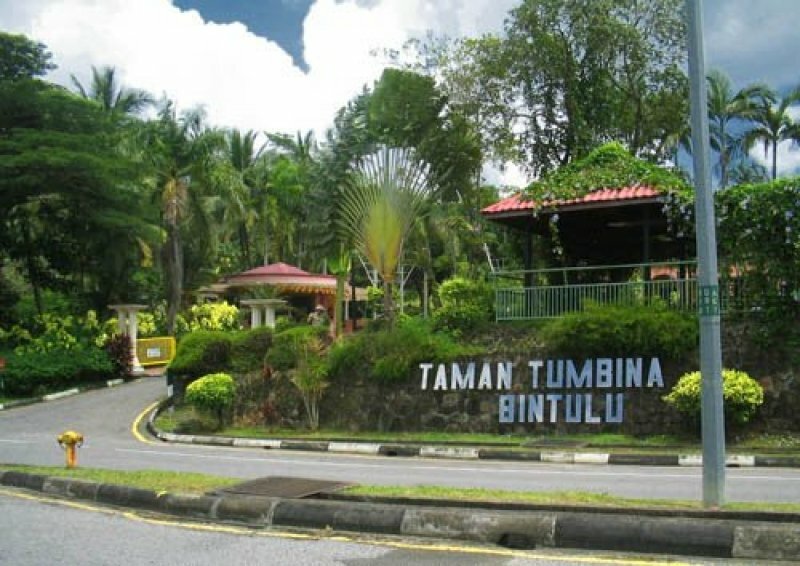 Situated at the top of a hill is Taman Tumbina Bintulu, which is Bintulu’s miniature zoo and botanical garden all in one! Envisioned to showcase the best of Borneo’s flora and fauna, Taman Tumbina has the largest collection of orchids on public display along with animal species that are native to Borneo. Besides the orchid display, there is also a succulent collection of cactus gardens and fruit gardens to explore. As you meander through the park grounds, say hello to different animals such as ostriches, crocodiles, hornbills and deer. There is also a walk-in aviary and butterfly enclosure for those who would like to get closer to the birds and butterflies. VISIT BINTULU’S TWO-IN-ONE ZOO AND BOTANICAL GARDEN TODAY! If you’re intrigued by the pleasantly pungent and Umami taste of Cincalok (fermented shrimp paste), then a visit to Bintulu’s nearby fishing village – Kampung Jepak – is definitely a must. Besides seeing how the local fishermen earn their keep, visitors may visit the fish and shrimp processing factories, where fresh fish and shrimp are transformed into tasty local delights like Cincalok, Belacan (shrimp paste) and other dried products. Take a walk through this fishing village and catch a glimpse of how it’s like to live as a fisherman. Do also pause to have a chat with the friendly locals as you walk through the local wet markets that sell fresh fish and produce. They will be more than happy to share about their lifestyle, give you a bargain on your buys or perhaps, even give you insider tips on the best stalls to eat at! Golf lovers, this one’s for you! Set your sights on Bintulu’s Golf Jalan Tanjung Kidurong, where you can play on an 18-hole golf course setting. The best part? This vibrant verdant turf is located just adjacent to the coast. Talk about playing golf with a view! Complete with buggies to help you get around the course, this golf course is suitable for newbies and seasoned professionals alike. There is no need to worry if you’re a newbie, as you can hone your skills and practice at a ‘practice putting green’ before going out to hit some balls. Are you ready to channel your inner Tiger Woods? READY TO HIT SOME GOLF BALLS IN BINTULU? 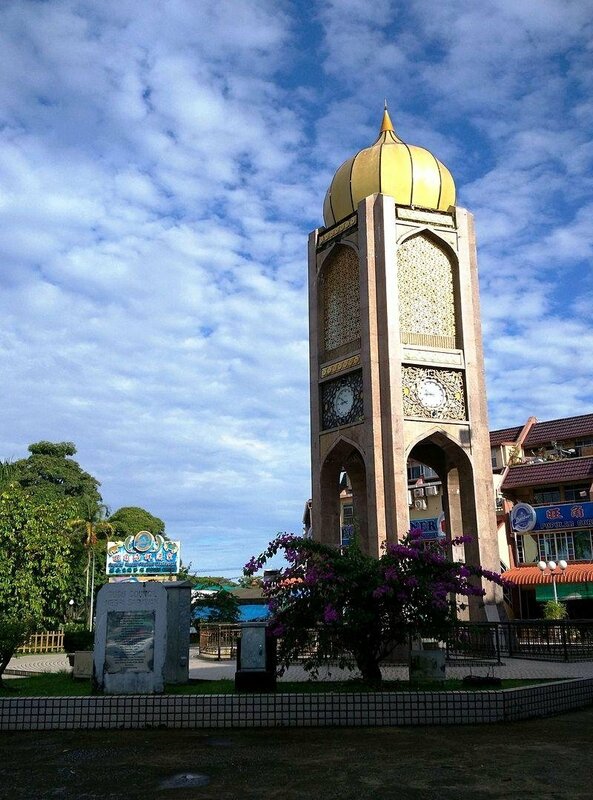 Aside from immersing in nature, there are a few heritage sites around Bintulu for those who wish to find out more about the history of this small town. After hopping to the famous Tua Pek Kong Temple and Assyakirin Mosque, end your mini heritage tour at Council Negeri Memorial located right in the town centre. The miniature golden memorial building commemorates Sarawak’s first State Legislative Assembly meeting that took place in Bintulu on 8th September 1867. Sarawak’s white Rajah, Charles Brooke, and his chiefs sat together in Bintulu to mark a new era in the conduct of affairs of the state. This memorial hence marks a significant event in Sarawak’s history. From cave exploring to living like a local at a longhouse homestay, there truly isn’t a better way to experience local Malaysian life than by venturing into one of its lesser known towns for an adventure. Are you ready to take a walk on the wild side? If you are planning to book your flight to Bintulu already, we can’t think of a better way to fly direct other than with AirAsia! 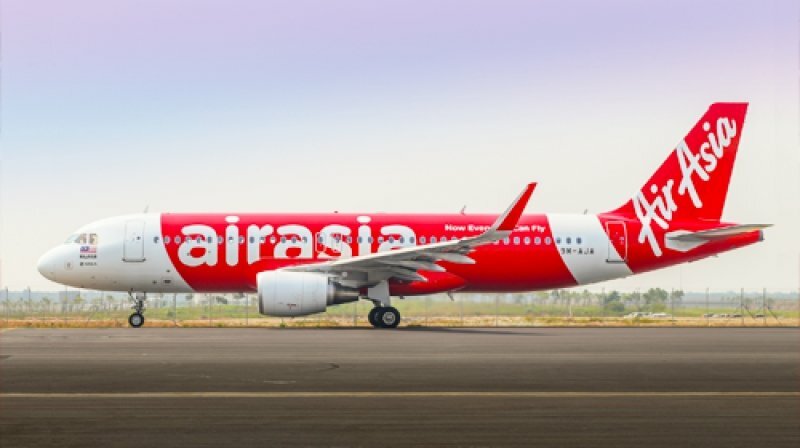 On top of offering DIRECT flights to Bintulu from Singapore, AirAsia also has a web check-in service – that is available for both individual and group bookings with up to 50 guests. So if you’re looking for somewhere different to visit on your next trip, this is it. 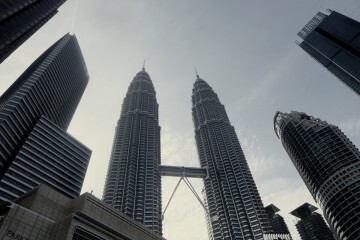 After all, why visit the same old places when you can switch things up for a change?